While combining lifestyle needs with, interior design and the demands of practical storage, we have been particularly careful with our offering of home study, office, storage and room set collections. 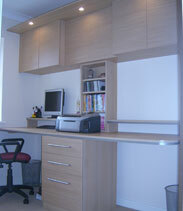 Our capability to make to order really comes into it's own in this world of lifestyle dependant needs, so whether it's a simple bookcase with adjustable shelves, a desk and cabinets to conceal computer and peripherals, or a few wall mounted cabinets with integrated mood lighting to set off your living space, well we can do it all. Showcasing our latest collection of doors across a variety of styles with many finishes to choose from, including plain colours and wood grains all to compliment your home, we will impress you with our varied selection of fitted and free-standing furniture. To further enhance our range we offer a selection of sliding door systems with or without horizontal dividing bars and in many cases to include a gentle soft closing action to the sliding doors. 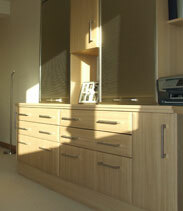 Not forgetting our excellent range of coloured glass fronted furniture offering both fitted and free-standing cabinets, tops and sliding doors, enabling accenting options to add that personal touch to your room set. 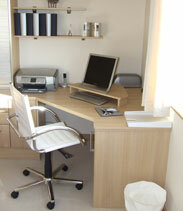 When it comes to organising, boxes, files, papers, toys, computers, hobbies or home craft we can handle it all and provide you with some inspired ideas to maximise the use of space using some very clever setups we've developed over many years of helping clients cope with the reality of limited space or too much space, by defining it's usage in the most appropriate ways, to reflect and address your own unique requirements. Go on, put us to the test! If you are considering updating other rooms in your home, then you may also be interested in our fitted wardrobes, bathrooms & kitchens. 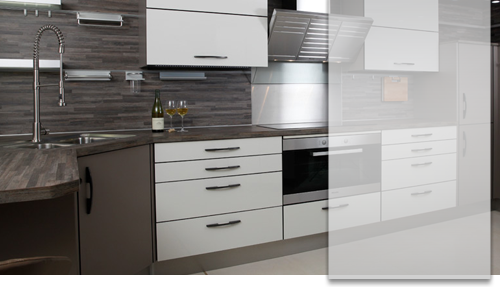 Our kitchens showrooms provide an extensive selection of kitchens, including bespoke kitchens and German kitchens. We also recommend browsing through our bathroom showrooms. We have developed our excellent reputation throughout East Anglia and are able to provide our services in Ipswich, Cambridge, King's Lynn, Bury St Edmunds, Thetford, Newmarket, together with other areas.